From the cloud forests of Costa Rica to the deserts of Southern Africa, the great outdoors inspires awe and offers us valuable perspective from our day-to-day grind. Nature also provides us with basic services - fresh water, clean air, nutritious food and shelter. But it doesn’t stop there. Here are four reasons nature is more valuable than you may have initially thought. The common denominator is innovation. The value of the industries described below is in the trillions of dollars. The value of deploying some of these solutions to better protect the planet is priceless. Nature, through evolution, has been solving problems for billions of years - far longer than humans have. Natural systems are well adapted to their environment. A close study of how these systems work can help to solve some of the challenges we are facing today. 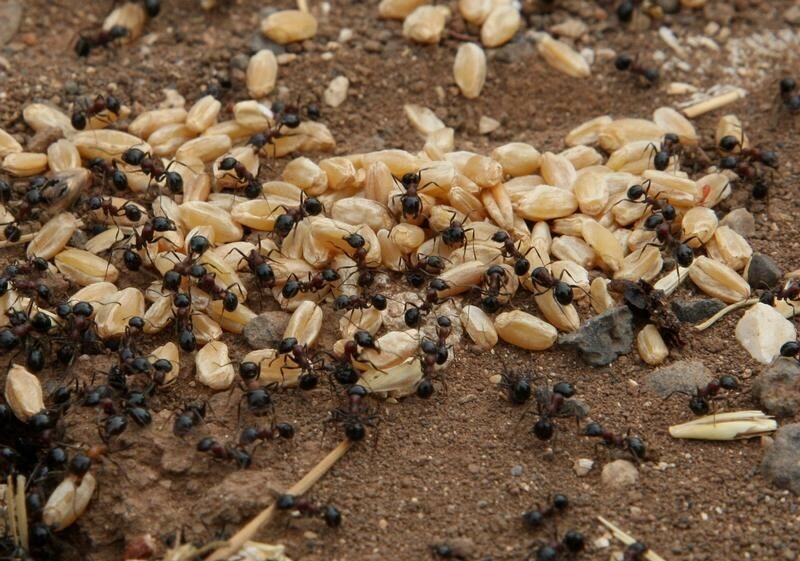 For instance, we can study the swarm logic of ants that never bump into each other as they harvest leaves on the forest floor, to develop an algorithm for self-driving cars. Let’s ratchet that up a notch. What if we built a city that worked like an ecosystem? Porous pavements evacuate rainwater, while bioluminescent trees light buildings made of self-healing concrete . Electric cars, powered by renewable energy drive around parks where pollution is captured by smog vacuum cleaners to ensure clean air is available to all. These innovations exist. These cities have the potential to exist. What if we could grow our own homes using mushrooms? What if plastic disintegrated in weeks not decades ? Biology can be harnessed to create non-toxic products that are reliable for their use-life and disintegrate seamlessly after use. In addition to building products made of natural materials, you could also create new materials inspired by those in nature. For instance, the physical structure and surface chemistry of an Amazonian butterfly’s wing called Morpho could inspire the development of self-cleaning surfaces, industrial sensors and photonic security tags. And that’s just one butterfly in a jungle of an estimated 10 million animals, plants and insects. This is the very same ecosystem that is under threat from illegal logging, poaching and climate change. 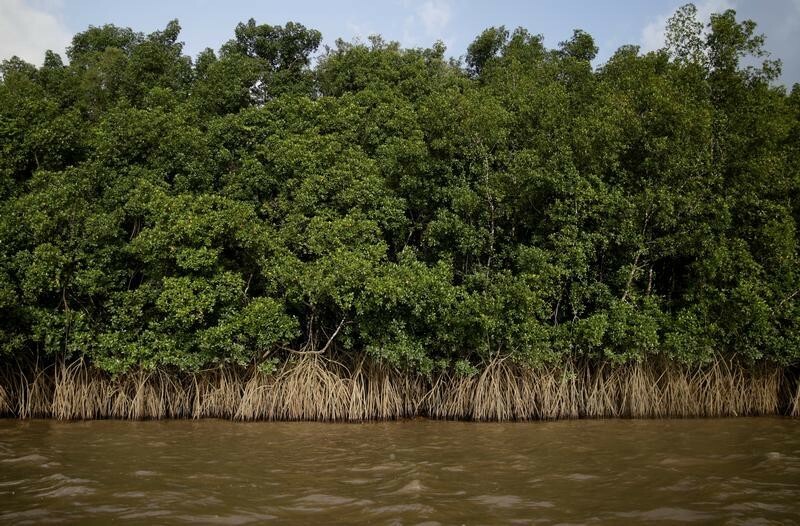 Studies have shown how mangroves help to protect exposed coastal areas from adverse weather events. As climates change, such natural assets will become invaluable to protecting us from sea-level rise and high-intensity storms. But nature doesn’t just live in the great outdoors. As a species, our bodies have evolved to improve our health and functioning. Through bio-technological innovations we are increasing the pace and possibility of some of these applications. What if your morning breakfast gave you a read out of your current health state or diagnosed early stage cancer? What if you could grow a new pair of lungs? Human enhancement is entering a new era of possibility, and ethical dilemmas. What is clear is that nature’s in-built solutions have the power to radically transform life as we know it. The very concept of renewable energy is inspired by and relies on natural processes – the sun, wind and water. By harnessing nature, we can generate energy that is perpetually renewable. But nature can take us even further. For example, the same swarm logic from ants mentioned above could be applied to smart grids to help to manage the flow of energy more efficiently and reduce peak electrical demand. And now to the Holy Grail of energy research: what if we could replicate photosynthesis to capture carbon dioxide and emit hydrogen and water? Researchers at Virginia Tech recently designed a supramolecule that does just this. The discovery could spell a new era of clean economics inspired by nature. Such natural processes could be applied to an entire economy too. A study of how calories move through coral reefs demonstrates that natural systems maximize energy and minimize waste. That is not the case in our current economy, where we will have more plastic in the oceans than fish by 2050 if we don’t change our ways. Could we develop a new systems-level approach inspired by nature that re-thinks the way we take, make and dispose of goods and services? The planet has the potential to help us to redesign our economic systems and the products we make and consume in novel ways. At the same time, with the dawn of the Fourth Industrial Revolution, technology has the potential to transform the way we think about protecting the planet. We can develop big data alliances to better monitor and enforce environmental regulation. We have the possibility to reduce illicit wildlife trafficking by using remote sensing and tracking devices. The blockchain could be used to register innovations from nature and sell this intellectual property to the highest bidder, while ensuring the return of revenues to help conserve the environments from which these innovations originated. We are at the gateway of an inclusive bio-economy. What is needed now are strategic alliances to implement a transformation of our operating models and in so doing, protect the nature that inspires us.